before war puts an end to mankind. Let us never negotiate out of fear. a place on the wall to hang the tiger's skin long before he has caught the tiger. This tiger has other ideas. to follow his vision wherever it takes him. only person standing between Richard Nixon and the White House. 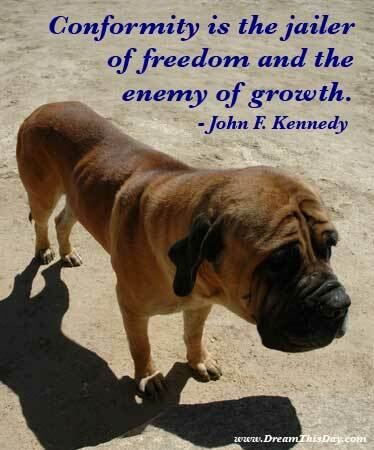 Thank you for visiting these Conformity is the jailer of freedom and the enemy of growth. ... by John F. Kennedy.